Starting a TRISMS Co-op can seem like a daunting task, but it is doable, rewarding, inspiring, and quite easy with the guidance, personal support, and steps we provide for you. Gathering your “fellow sojourners” into a weekly location to learn from and with each other provides many benefits. 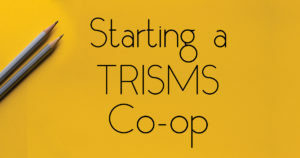 Download your free “Starting a TRISMS Co-op” ebook below. Will TRISMS Work For Me?